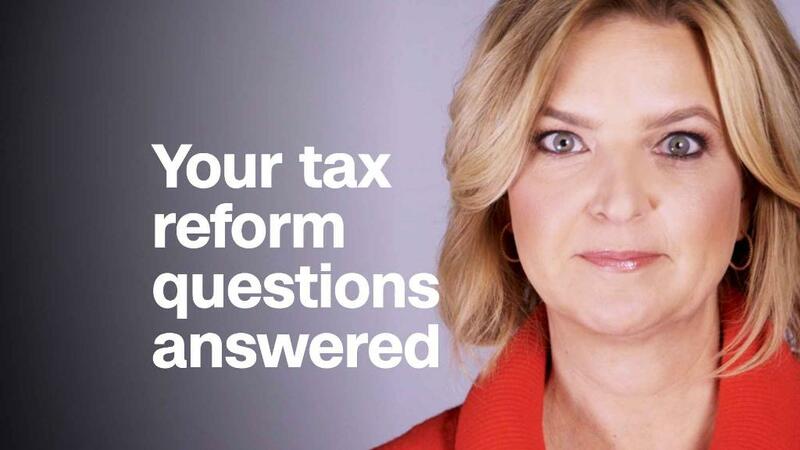 Like most of us, you're probably still trying to figure out how the federal tax overhaul will change what you'll owe Uncle Sam. But the new law could affect how much you'll pay in state taxes as well. Of the 41 states that impose an income tax, all but five (Alabama, Arkansas, Mississippi, New Jersey and Pennsylvania) directly tie parts of their tax code to elements in the federal code. They may use as their starting point a filer's federal adjusted gross income or federal taxable income. And they may adopt some of the same exemptions and deductions used at the federal level. Bottom line: The more a state conforms to features in the federal code, the more their residents could feel an impact at the state level. That is, unless their state makes changes. Some have started to, but many more are currently debating what to do. Many states have preliminarily estimated that they'll end up getting more revenue if they do nothing, meaning your state tax bill could grow, even though your state government hasn't done anything to raise your taxes. So legislatures across the country are debating what to do with the extra cash. They have three choices: Use it to make investments or fill budget holes. Provide offsetting tax cuts to residents. Or some combination of the two. Colorado, for instance, estimates that it will collect hundreds of millions of dollars more each year between 2018 and 2025. One reason is that the elimination of the federal personal and dependent exemptions could increase a Colorado resident's state tax bill by $191 per family member on one's return, according to estimates from staff economists of Colorado's legislative council. While Colorado lawmakers have introduced some bills — including one to expand a child care expense tax credit — to offset the loss of the personal exemption, it's not clear where the state will end up. Maryland estimated it could get an additional $500 million by doing nothing. Its lawmakers have decided to keep $200 million to invest in education. But this week, they struck an agreement in principle to make $100 million worth of tax changes to offset some of the state tax increases residents might owe as result of the federal changes. Idaho lawmakers, meanwhile, passed a bill lowering income tax rates to the tune of $100 million to offset their estimated revenue increase. But that won't protect everyone in Idaho from a higher state tax bill. While the legislation will lower taxes for a lot of people, "it would raise taxes on many large families," Richard Auxier, a research associate at the Tax Policy Center, noted in TaxVox. That's because Idaho residents have been able to claim the full federal personal exemption and standard deduction on their state returns. The new federal law nearly doubled the standard deduction — which may reduce a filer's state tax burden. But it's not enough to offset the loss of personal exemptions for low- and middle-income parents with several kids. Lawmakers have recently crafted a partial fix to the problem by increasing the newly created state child tax credit. Meanwhile, some other states are trying to make a few technical corrections to address potential tax increases, said John Hicks, executive director of the National Association of State Budget Officers. Nebraska lawmakers, for instance, have advanced a bill to create a state personal exemption to offset the loss of the federal one. If you do face a higher state tax bill because your lawmakers don't act, Hicks thinks it's unlikely that the increase would wipe out the tax cuts you might see on your federal tax return. "It will still be a net tax cut," Hicks said. Unless, of course, you're in the minority of filers in 2018 who are also facing a federal tax increase.